When I was staying at the Summit Hotel in Patan in 2007, en route to Tibet and the north side of Everest, I was woken early one morning by the sound of people exercising in the yard outside my room. ‘Up, down, up, down,’ an instructor was shouting like a sergeant-major overseeing a military drill. I knew already that these people were trekkers on their way to Everest Base Camp as part of the Caudwell Xtreme Everest expedition. I had sat next to two of them on the flight out to Kathmandu from London. 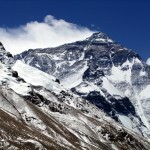 Around 200 trekkers were being sent to base camp, and ten doctors were aiming to climb all the way to the summit to measure the effects of altitude on the human body. They were hoping that their research would provide answers to why some patients in intensive care survive with reduced oxygen while others die. For my two travelling companions, this meant that as well as walking to Everest Base Camp, they would have a few light sessions on an exercise bike thrown in as a bonus, after which readings would be taken. A few weeks ago I received an email from Dr Jeremy Windsor of Chesterfield Royal Hospital to tell me about a new blog he has launched to promote interest in high-altitude medicine as part of the work he does teaching students to gain a special qualification in mountain medicine. 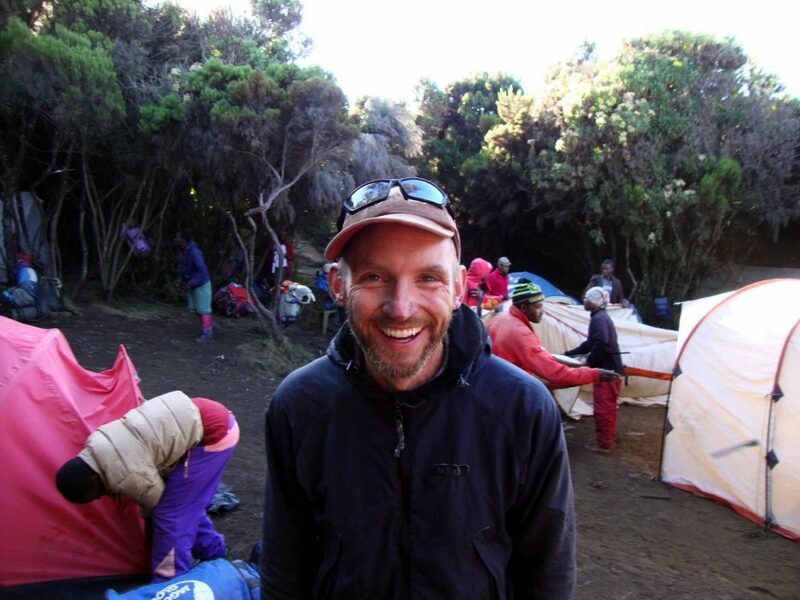 I googled Jeremy’s name, and realised that he was one of the ten doctors who climbed Everest that year as part of the Caudwell Xtreme Everest Expedition. That expedition had always intrigued me. 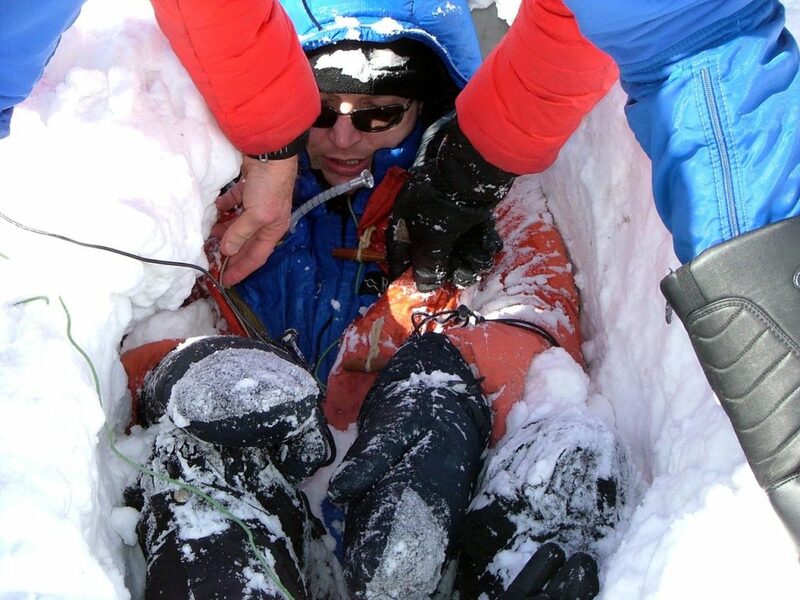 There aren’t many people carrying out medical research over 8,000m, and much of what we know about surviving in the death zone is from mountaineers and mountain guides who base their advice on their own experience rather than strict scientific research. I’ve found myself in a few medical discussions recently after a couple of posts on this blog about Everesting and the new trend in shorter expeditions. 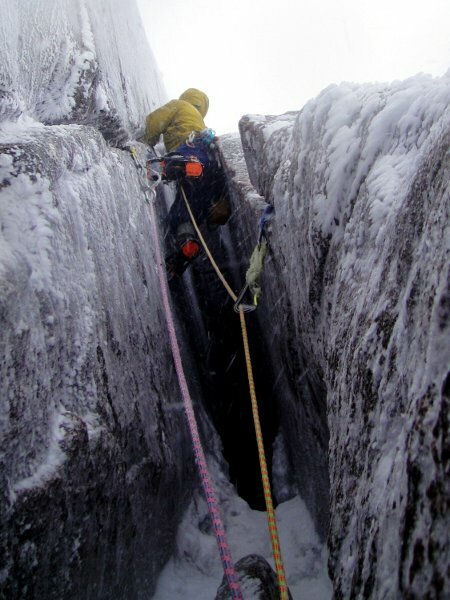 As a clueless layman, I thought this would be a good opportunity to find out more about the Xtreme Everest expeditions and ask Jeremy for his professional opinion about some of the things we’d been discussing here on this blog. I asked if he was prepared to be interviewed for a blog post and he agreed. Being moderately stupid, some of his answers passed a little over my head. For example, I thought that mitochondria was an irrational dislike of the digits on my feet, and I believed myoglobin to be a short-sighted creature inhabiting the dungeons of Middle-Earth. But I know that I have some intelligent readers (who no doubt read my blog for the same reasons that ordinary folk watch shows such as I’m a Celebrity, Get Me Out of Here), so I have left Jeremy’s words largely unedited for your benefit. In any case, he explains the concepts clearly in layman’s terms, and his enthusiasm for the subject really shines through. MH: Hi Jeremy and thanks for agreeing to be interviewed. 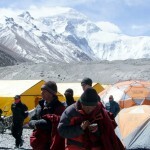 Firstly, tell us a little about the Caudwell Xtreme Everest expeditions – what were they and what was your involvement? JW: Xtreme Everest are a group of researchers and doctors based at University College London (UCL) who have been conducting research at high altitude for more than a decade. We believe that high-altitude research can be applied to the treatment of critically ill patients at sea level. During my time with Xtreme Everest I was not only able to take part in a number of research projects but was also fortunate enough to climb two 8,000m peaks – Cho Oyu (8,201m) and Everest (8,850m). MH: Did you climb Everest yourself, and if it’s not a silly question, how did it compare with other mountains that you’ve climbed? JW: Yes! I was one of those on the summit team and made it there and back in one piece. A fantastic experience and hugely rewarding. It’s hard to compare it to anything else. Which other mountain do you spend three months of your life climbing? The only comparison I can make is with Ben Nevis. Over the years I’ve climbed more than a hundred routes on the mountain. Not bad for a Sassenach! Everest and Ben Nevis have both provided me with extraordinary memories – lots of emotions – tears, laughter and that wonderful feeling of achieving something that felt just out of reach. It keeps me going back for more. MH: In your opinion, what have been the most important discoveries from these expeditions? Has there been anything that really surprised you? JW:For me the most stunning findings were published soon after our return from Everest. A very simple question was answered – what happens to our oxygen levels at 8,000m? The answer was incredible. Blood samples were taken from the arteries of four mountaineers at a site known as The Balcony, a cold windswept ledge on Everest at 8,400m. These were stored in ice and rushed down to the Western Cwm where they were processed. 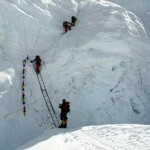 The results revealed that the mountaineers were surviving on just one quarter of the oxygen they needed at sea level. These were comparable to figures found in patients on the verge of death. Extraordinary! MH: Do you believe that we now understand the effects of high altitude on the human body quite well, or are we still just scratching the surface? JW: Scratching the surface is an understatement. Whilst we are getting better at treating high-altitude illnesses, we still don’t understand how they occur. Take Acute Mountain Sickness (AMS) as an example. This incredibly common condition affects thousands of people each year and can lead to life-threatening complications such as High-Altitude Pulmonary Edema (HAPE) and High-Altitude Cerebral Edema (HACE). Whilst we have known for centuries that low oxygen levels trigger AMS, the process that leads to symptoms such as headache, nausea, fatigue and light-headedness remains unclear. In a similar way, we don’t really understand the acclimatisation process. At medical school we were taught that acclimatisation was all about making more red blood cells and improving the carriage of oxygen to the body’s cells. But this turns out to be just one of many factors in play. Give a group of mountaineers a blood transfusion and watch them climb an 8,000m mountain. You’ll see a range of different responses. Acclimatisation is a much more complicated process. To illustrate this it’s worth taking a look at the contraction of a muscle as an example. How can this be done with so little oxygen at high altitude? Once oxygen enters the blood stream it binds to haemoglobin molecules that are contained within the red cells before being transported to a capillary within easy reach of the muscle cell. At this point it diffuses through the wall of the blood capillary, through the connective tissue and into the muscle cell itself. Once inside it binds to myoglobin and is carried to the mitochondria. This is where the magic happens. These cellular components are dotted throughout the muscle cell and use the oxygen to generate the energy needed to power the muscles. At present it’s unclear how the muscles cope with a fall in oxygen. But here’s my best guess. Firstly, I think acclimatisation makes the movement of oxygen from the blood vessels to the mitochondria as slick as possible. Changes to the cell walls and connective tissues improve diffusion, whilst tweaks to the myoglobin ensure that oxygen is better transported around the muscle cell. Secondly, and this is really fascinating, I suspect that the acclimatisation process also works on the mitochondria themselves. Over time at altitude, these power stations may simply develop the capacity to adapt and produce energy with less oxygen. Put simply, the mitochondria may be capable of doing the same for less. Much still needs to be proven, not only in the muscles but in other organs such as the brain, heart and kidneys too. A clearer picture of the acclimatisation process will emerge. I only hope I’ll be there to learn about it. MH: Are you one of those expedition doctors who hovers around the dining tent sticking bits of plastic on people’s fingers to check how they’re acclimatising, and is this helpful? JW: Yes and no. The pulse oximeter is a great way to get people to think about how altitude affects the human body. It helps explain the link between a fall in barometric pressure and its impact upon the amount of oxygen being transported around the body. But that’s where my use of the pulse oximeter stops. For more than a decade, research teams have tried to use a measurement of oxygen saturation to predict those who are going to develop Acute Mountain Sickness (AMS). The findings of more than a dozen studies can probably be summarised in a line or two. It’s a crude tool. There’s no doubt that a low oxygen saturation can predict those who will go on to develop AMS. However there’s a catch. There are plenty of people who have a low oxygen saturation at altitude but never go on to develop AMS. Effective screening tools need to be sensitive and specific. They not only need to identify those who’ll develop AMS (sensitive) but they also need to rule out those who won’t (specific). The pulse oximeter doesn’t do both. MH: A recent development in high-altitude mountaineering is for shorter expeditions where people pre-acclimatise in altitude chambers at home. Do you have an opinion on this? JW: A very interesting development indeed. 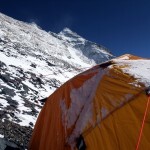 Until recently it wasn’t unusual to spend three months away climbing an 8,000m peak. That’s now starting to change. Speaking recently to Monica Pires, a very experienced high-altitude expedition doctor, she told me that this year her Everest expedition took just over a month. This new approach has a number of attractions. Not only is it cheaper and you spend less time away from home, but you also avoid spending a long time in dangerous places – whether that’s a city in the developing world or an 8,000m mountain. However, there’s one major disadvantage. You have little time to acclimatise. To get round this, many try to start their acclimatisation process off at home. This normally involves spending weeks prior to departure breathing a low-oxygen mixture for several hours each day. Unfortunately we don’t know what works. Should we spend three months breathing 10% oxygen for 12 hours a day? Or at the other extreme, perhaps a weekend or two breathing 18% oxygen for a few hours is enough to summit Everest? We simply don’t know the answer and more importantly, neither does the mountaineer until they’re climbing through the Khumbu Icefall. MH: You’ve recently started a fellowship programme in mountain medicine at the Chesterfield Royal Hospital. How did this come about, and what exactly is a clinical fellow in mountain medicine? 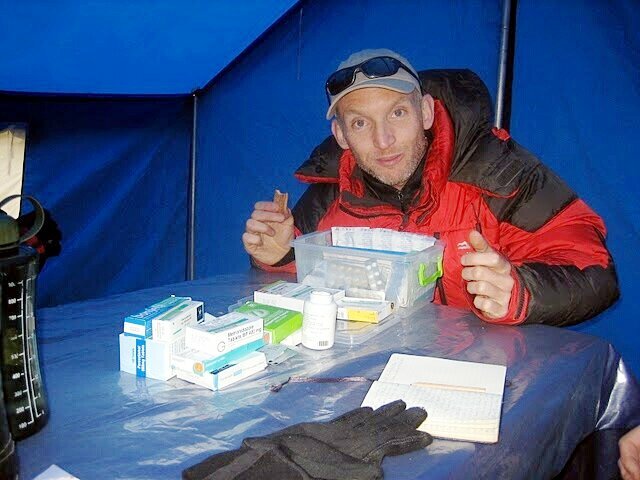 JW: I’ve spent a very enjoyable decade teaching students on the UK’s Diploma in Mountain Medicine (DiMM). This postgraduate qualification is rapidly becoming the essential qualification for anyone wanting to practise medicine in the mountain environment. From my experience it’s clear that the students get an enormous amount out of it. They not only spend lots of time in the mountains, but they also learn lots of useful practical skills and apply their medical knowledge to a range of fascinating problems. In recent years the number of junior doctors leaving the UK’s National Health Service (NHS) has mushroomed. Morale is at an all-time low. But I think there’s a lot that can be done to help. For a start, we can offer interesting and rewarding jobs that inspire future generations of doctors. I think the mountain medicine fellowship does just that. Two years working in a busy critical care unit right on the edge of the Peak District, with a guaranteed place on the DiMM and opportunities to participate in mountain medicine research and teaching? That’s not a bad place to start. There’s even the option of working in Nepal or Tanzania and putting the DiMM to good use. MH: And finally, you have also started your own blog, Surviving the Death Zone. What are your aims here, and is there anything readers of my Footsteps on the Mountain blog can do to help you? JW: Become part of it! Help us build a blog that’s trying to make the mountains a safer place. Ask questions, make comments and contribute posts. Whatever your skills, experience or knowledge it would be good to hear from you. You can read more on Jeremy’s blog. Agreed with Dr. Windsor that in fact we may be focusing too much on oxygen saturation (SpO2) since although those numbers look horrible when you are up there, people can still function! I wonder if he did research on the O2/Hgb dissociation curve. I think that’s where to look next. In other words, it’s more important to know HOW EASILY the Hgb is releasing the oxygen to the tissues (brain…) vs HOW MUCH O2 it’s carrying. My feeling is that this is where we will find big differences on why some get AMS and some don’t. A perfect example of this is that if one get’s cold, your SpO2 could be OK(ish) but the Hgb will not release the O2 as well to the tissues. Some great questions Mark with interesting answers! All I can focus on is having blood drawn at the Balcony, arguably the most miserable place on earth!